Dr. Bob was a brilliant geneticist. He had studied genetics and biology at the finest universities in the world. He had done research into the very structure of life. Finally, he believed, he had arrived at the secrets of creating life. “What do you mean?” God asked him. Dr. Bob gathered up some materials into test tubes to begin his procedure. “What are you doing?” God asked. “Well, I’m doing what you did — I’m gathering dust,” Dr. Bob replied. 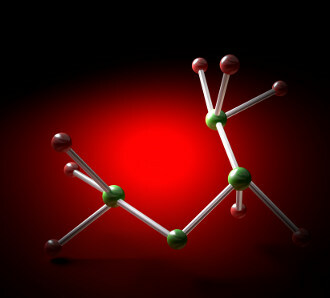 Molecule image by svilen001 at stock.xchng.